I am also Ian Russell, a professional science communicator, inventor and designer, well known internationally for my hands-on exhibit designs and educational science-shows. For years and years I have practised different ways of 'infecting' people with my contagious delight in phenomena, encouraging curiosity and creativity and so enriching people's lives. Bubbles. The impenetrably complex dance of surface-tension forces and invisible air movements. The beauty of swirling colour-patterns as light-waves interact after reflecting from both sides of a layer of water as microscopically thin as a bacterium. 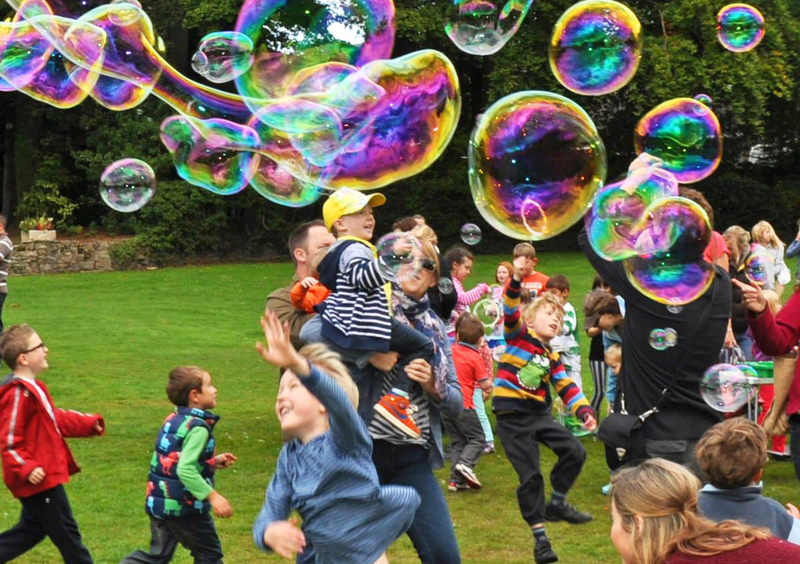 Nothing else attracts a crowd so quickly, sends children into such an ecstatic frenzy, or puts silly grins on so many grown-ups' faces. 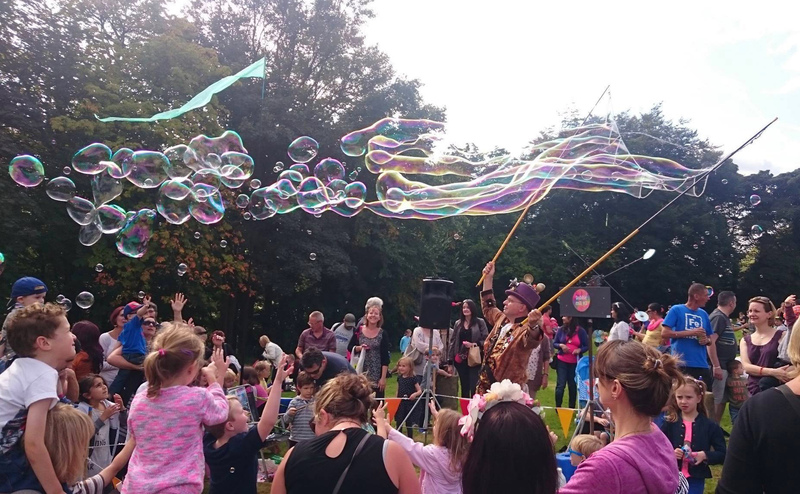 Please get in touch to discuss how I can arrange a special event for you, or bring my irresistibly joyful bubble-magic to whatever occasion you are planning. Nothing else can attract a crowd so quickly!